It’s been forever since I did a proper product review. 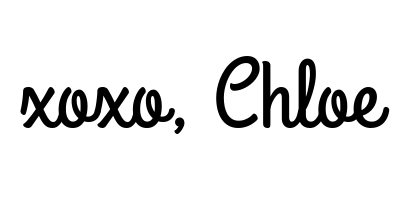 Since it’s long overdue, I decided to do one on a product that I’ve used for a while. 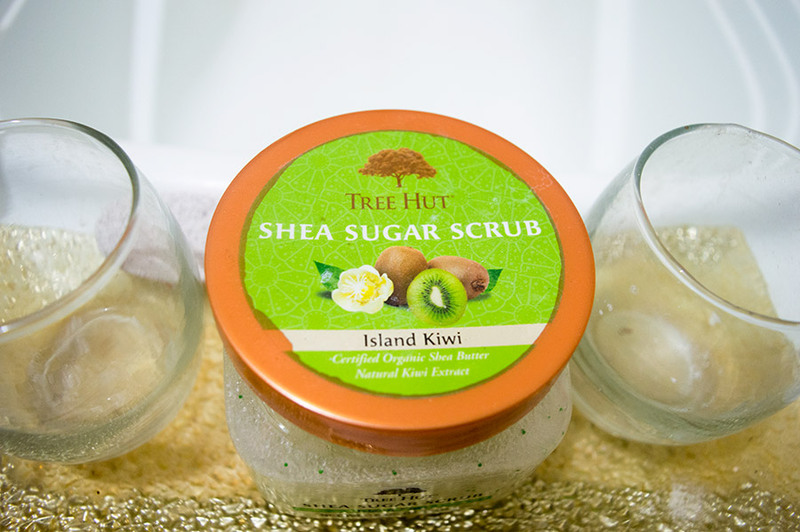 Which is Tree Hut’s Shea Sugar Island Kiwi Scrub. If you’re interested in my views on this scrub, then just click the read more link below. Back in October my mother went on a cruise. When she came back, she bought some clothes and beauty products for me. After using it for a couple of months, I figured why not share my feelings in a review. I’ve used a couple of body scrubs in my time, though it’s not something that I use too often. Sometimes the scrubs can be too abrasive for my skin and I hate it. Especially face scrubs which tend to leave my face all scratched up and worse off than before. 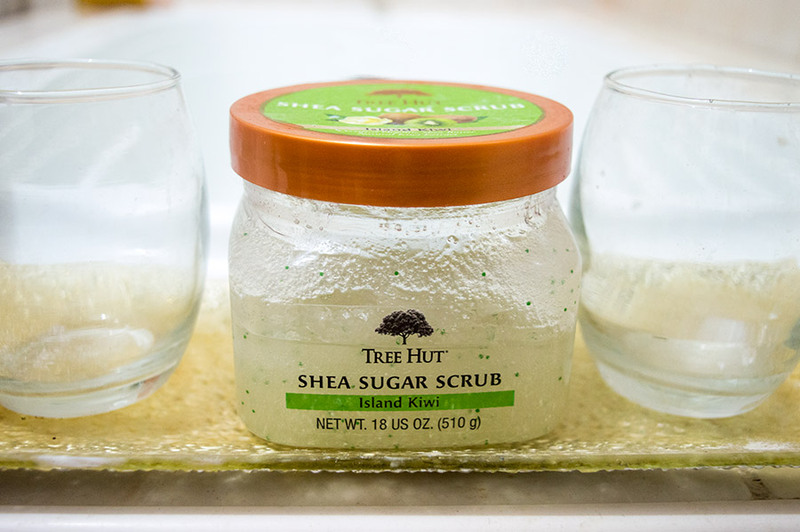 Experience intense exfoliation with Tree Hut Sugar Body Scrub with the tropical scent of Island Kiwi. Packed with hydrating omega-3 and alpha-linoleic acids, natural Kiwi Fruit extract helps keep skin soft and nourished. This gentle sugar scrub is infused with Certified Organic Shea Butter, Kiwi Fruit Extract and an array of natural oils including Evening Primrose, sweet Almond, Avocado, Safflower Seed, Macadamia Seed and Orange Oil. The real sugar grains will buff away dry and damaged skin, leaving your skin soft and smooth. So first thing that I love about this scrub is the natural ingredients. Because this is a sugar scrub, I don’t have to worry about the grains not dissolving and polluting the sea and harming sea life. Even better for those of you who love all natural products, this will be right up your alley. 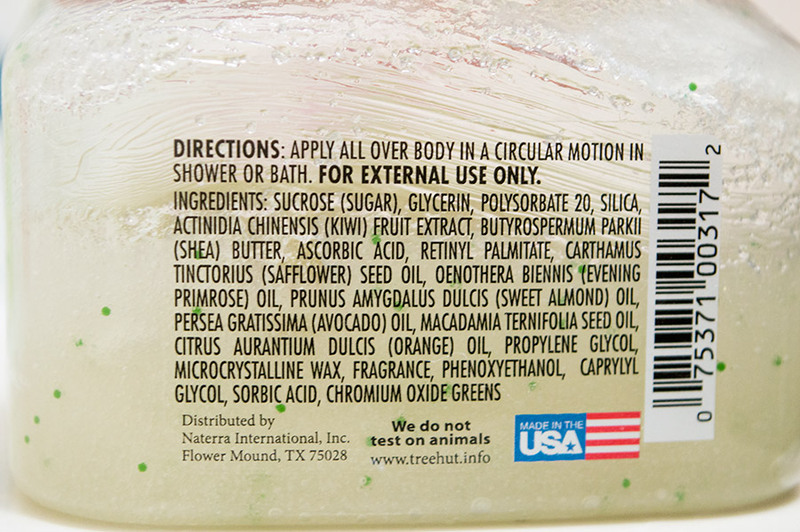 They do not test on animals as stated on the back of the tub and is made in the USA. I wasn’t really sure how it’d smell when I first got it since I wasn’t sure how they’d bring out the kiwi scent. But I can definitely say that I wasn’t disappointed it. It smells so sweet, like a freshly cut kiwi and then some. The scent itself is so calming and refreshing, perfect for a personal spa day. Now that you’ve heard all about the smell, you’re probably questioning the effectiveness. So I’ve used the Island Kiwi Scrub under a variety of circumstances. Dry skin, wet skin and damp skin. It works best with damp skin as it allows for friction. However it is not so harsh that it’s bad on dry skin. I applied it all over my body in the shower after my usual shower gel. And it glides on against my skin pretty nice. The sugar removes build up and dead skin and the oil itself aids in the glide. After rinsing it off, my skin felt clean, refreshed and supple. Even when dry, my skin still looks anew. Honestly the first time I used this product, I was left shocked. Was this my skin? It really took away the dead skin and build up that’s been there on my skin for lord knows how long. On my second use of the Island Kiwi scrub, I moisturised after washing off. This left me with the best result. So would I recommend this product? You bet your sweet self I do. It’s the best body scrub that I’ve used in a long time. 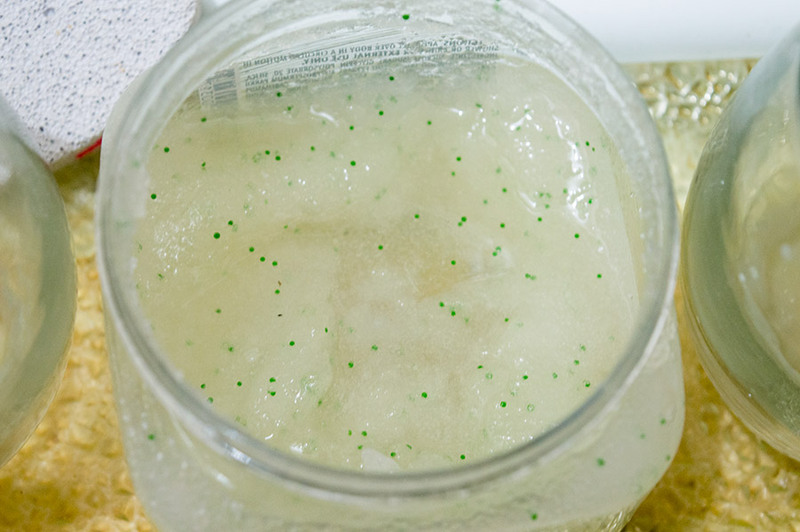 This scrub’s perfect for vegans and those all about using natural products. It’s actually effective and leaves your skin feeling refreshed and smelling like you came right from the tropics. Best of all, as o the writing of this post, you can buy the scrub for the low-cost of $6.48 on Amazon. This looks so cool I like the green specks in it. I’m not a fan of body scrubs though as I hate that bity feeling on my body! I was so surprised when I open it for the first time and saw the green specks, I thought it was a nice touch. Oh I love sugar scrubs. I especially like making them. This once sounds like it smells fresh and delicious! I definitely would love to get into making some myself. 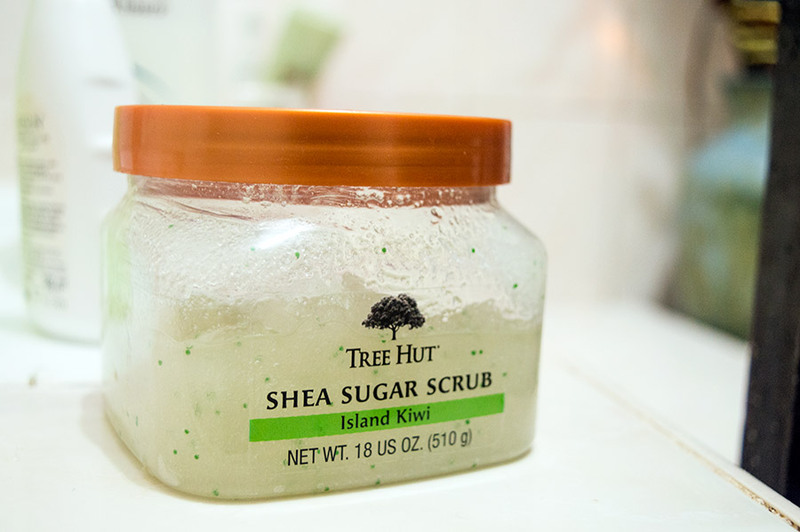 Thanks forshare Tree Hut Shea Sugar Island Kiwi Scrub Review. I was looking for a new scrub since my Frank Coffee Scrub ran out. Definitely going on my wish list.